The Veraroad Certified Organic Cosmetics Line is created to combine Beauty and Wellness. Plant extracts properties, enriched with Lisati – LISOSAN®, which have an antioxidant effect, and environment respect during their preparation (the laboratory is powered by solar energy), make these cosmetics Unique. The careful research, between fruits and flowers, has created specific phytocomplexes that guarantee a renewed well-being of skin and hair. 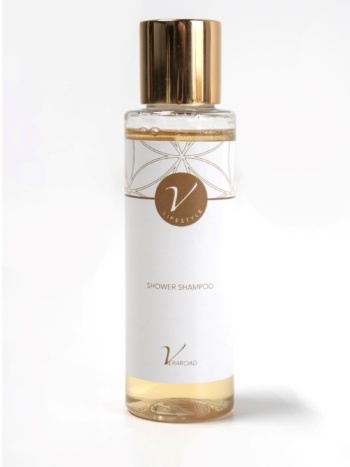 The Veraroad Cosmetics are energized with the Flowers of the Angels, thanks to the Vera Essence, which in the language of flowers serves to remove the weight, to create around the Veraroad Woman a luminous aura that attracts Positive Energies. In our products we use only NON-OXOSSILED SURFACTANTS, detergent bases derived from coconut, delicate on the skin and free from ethoxylation reactions, this to create a natural cosmetic line, in full respect of health and the environment. Plant extracts properties, enriched with Lisati - LISOSAN®, which have an antioxidant effect, and environment respect during their preparation (the laboratory is powered by solar energy), make these cosmetics Unique.